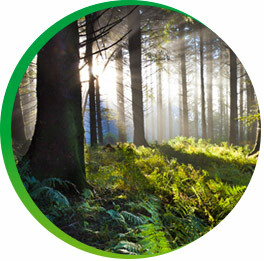 The organisation representing professional homeopaths in Ireland. Our aim is to serve both our members and the wider community and also to set and maintain standards for homeopathy in Ireland. We do this by supporting our members and also by increasing public awareness of the benefits of homeopathy. The Irish Society of Homeopaths is committed to promoting homeopathy as a health treatment choice for everyone. Each of our members are fully qualified, insured and abide by our Code of Ethics and Practice. Our website will allow you to easily find a registered homeopath in your local area. For members, the Irish Society of Homeopaths ensures support for individual practitioners and forms the basis of a strong professional working body for homeopaths all over Ireland. The Society oversees the professional Register, accredits courses and organises Continuing Professional Development (CPD) programmes. They have been looking after the interests of professional homeopaths since 1990 and have in excess of 350 members throughout the country, including students, graduates and registered members. We are the voice of homeopathy in Ireland, with a specially trained media team and spokespeople who deal with the media on our behalf. Also, as CAM therapies are self-regulating, the Irish Society of Homeopaths is the regulating body for homeopaths in Ireland. The ISH is affiliated to the European Council of Classical Homeopaths (ECCH) and the International Council for Homeopathy (ICH). The ECCH is the platform for the profession in Europe with 27 member professional associations and the ICH is the international body which represents professional homeopaths around the world. 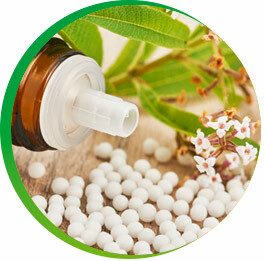 To make homeopathy accessible to all. All of our practitioners must abide by our Code of Ethics and must carry full, up-to-date professional insurance. The Code protects both patients and practitioners. We take our Code of Ethics very seriously and every member signs a contract to abide by the Code at all times. Complaints against a member must be made in writing to our offices and are referred to the ISH Professional Conduct Officer. All complaints are treated in the strictest confidence. The Irish Society of Homeopaths’ (ISH) stated aim is to set and maintain standards for homeopathic practice in Ireland. It is the function of the Society to give guidance to the profession generally on all matters relating to ethical conduct and behaviour and to inform the public seeking homeopathic treatment. The aim of the Code of Ethics and Practice is to encourage integrity and responsibility in the practice of homeopathy, with truthfulness and dignity at all times in relation to a homeopath’s dealings with patients and colleagues. This Code applies to all Members of the ISH, including student clinical members. A homeopath has, by becoming a member of the ISH, agreed to observe and be bound by and observe the Code of Ethics and Practice, to abide by the regulations of the Society and to secure and maintain professional indemnity insurance in respect of their professional practice. The ISH encourages, where possible, the resolution of differences between members and potential complainants through informal mediation via The Society’s Professional Conduct Officer before entering into a formal complaints procedure. It is the nature of professional practice that many decisions fall into areas where there is no absolute right and wrong and where a series of conflicting obligations may have to be considered. The Code offers sound guidance on these issues and indicates areas where particular challenges may arise. If for whatever reason, a registered homeopath’s competence to practice is brought into doubt and the matter cannot be resolved with the help of the Society’s Professional Conduct Officer by informal mediation, the matter should be referred in writing to the Professional Conduct Officer via The Irish Society of Homeopaths. The Code of Ethics and Practice forms the basis upon which the conduct of any member will be assessed in the event of a complaint. A complaint can be made if a person perceives that a registered member has not treated them, or conducted themselves in accordance with The Code. In making a complaint it is necessary for the Complainant to reference which points in the Code are the basis for the complaint. If the matter cannot be resolved through the Professional Conduct Officer it will be referred to a specially convened panel of ISH and non-ISH members. Panel decisions can be appealed and the subsequent hearing is held in camera with a majority decision. Penalties for a homeopath found in breach of the ISH Code of Ethics or regulations range from a warning, to a reprimand, suspension or expulsion. In addition the homeopath may be asked to undergo counselling, supervision or further training.